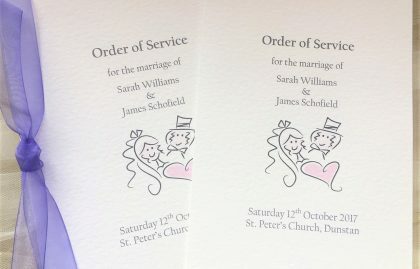 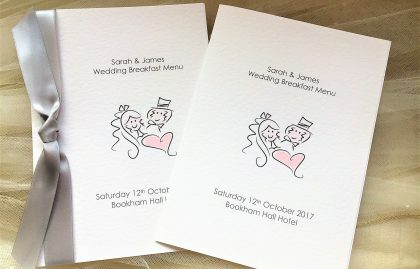 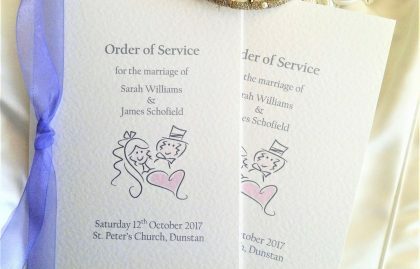 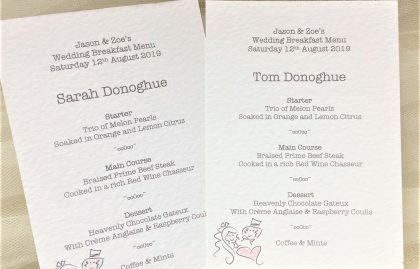 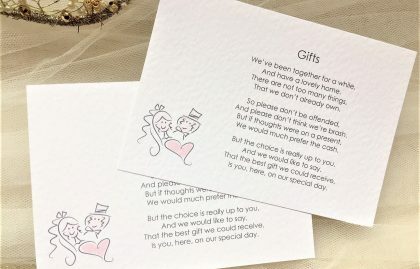 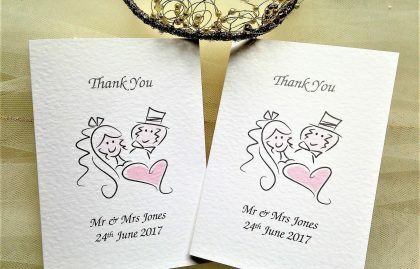 Our Bride and Groom Wedding Stationery Range features a contemporary cartoon bride and groom design for an informal, relaxed feel to your wedding day. 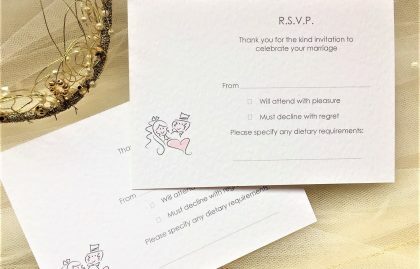 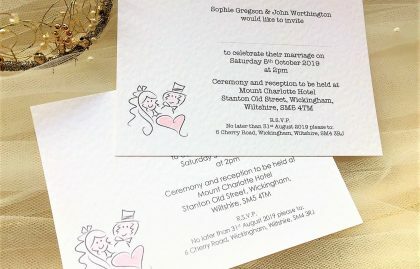 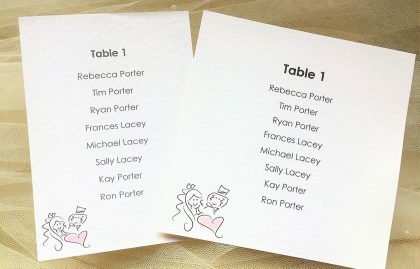 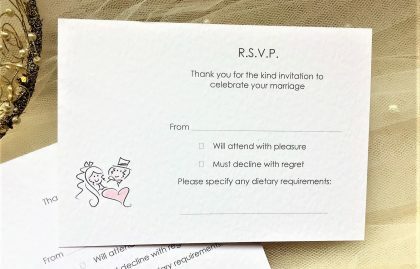 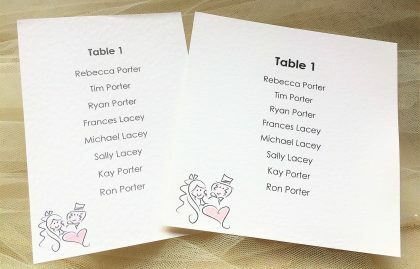 Cartoon wedding invitations are a fun twist on traditional formal wedding invitations and offer a whimsical style because getting married is supposed to be fun! 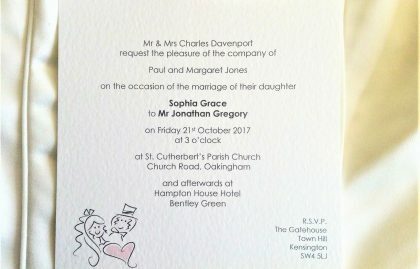 Also, most of the items in the Bride and Groom wedding stationery range are also available with or without ribbon to match a colour scheme. 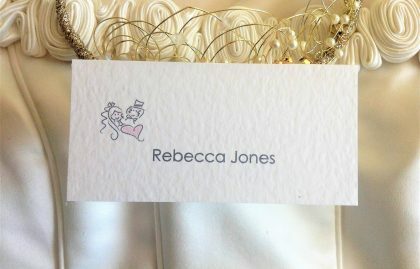 We stock both organza and satin ribbon. 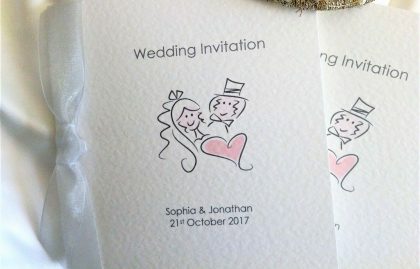 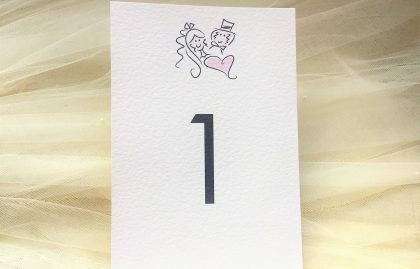 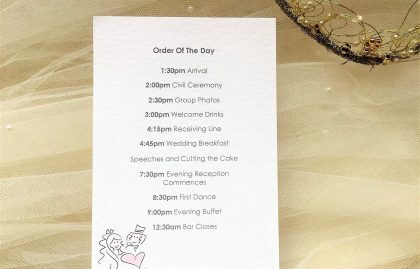 Browse our full range of wedding stationery items in the Bride and Groom range which include everything from save the date cards, wedding invitations, evening invitations, RSVP cards, guest information cards, place cards, table plan cards, menus, order of day cards, order of service books and thank you cards. 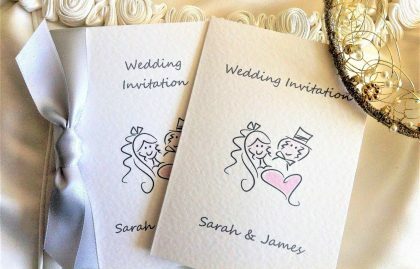 Our Bride and Groom Wedding Stationery is available on white or ivory hammered card.